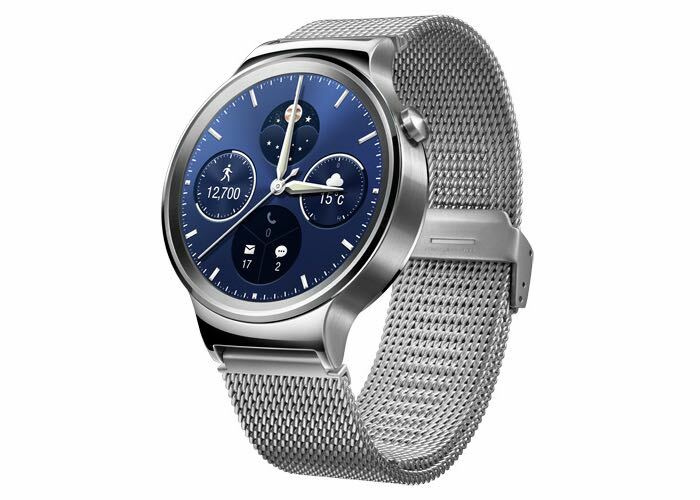 Huawei Watch is yet another gorgeous Android Wear smartwatch introduced at the Mobile World Congress 2015 in Barcelona. Previously, we heard that the Huawei Watch won’t be available before September as the company tries to make it work in its home market. However, there’s a news which may help you feel a little better if you’re eagerly waiting for the smartwatch. Recently, the Huawei Watch was spotted at the FCC, which is usually one of the last stages before the devices hit retail in the United States. So, there’s a possibility that we may get to see the smartwatch hit retail in the coming weeks, a little earlier than initially expected. The surprising thing is, the Chinese manufacturer didn’t hide the product at the FCC listing, and clearly mentions it as the “Huawei Watch”. The FCC listing doesn’t reveal anything interesting about the smartwatch, but do mention that it will come with a 300 mAh battery and 802.11b/g/n WiFi. Nonetheless, it shouldn’t be too far off. We’ll keep our eyes on the news and let you know as soon as we hear anything about its launch and pricing. In the meantime, let us know about your initial impressions of the Huawei Watch.